Posted on June 4, 2018 at 6:45 pm. With elected state leaders still mostly just blowing smoke, Minnesota’s cities continue to take steps to improve health, clear the air, and prevent young Minnesotans from being ensnared by the deadly dangers of cigarettes and tobacco use. Last week, St. Peter became the ninth Minnesota city in just a little over a year to raise the legal age to buy tobacco to 21. It joined Edina, St. Louis Park, Bloomington, Plymouth, North Mankato, Shoreview, Falcon Heights, and Minneapolis in passing so-called “Tobacco 21” policies. “Seeing local entities take charge of tobacco-prevention measures in their communities: That is so encouraging to us,” Anne Mason of the Minneapolis-based smoking-cessation group ClearWay Minnesota said in an interview last summer with the News Tribune Opinion page. 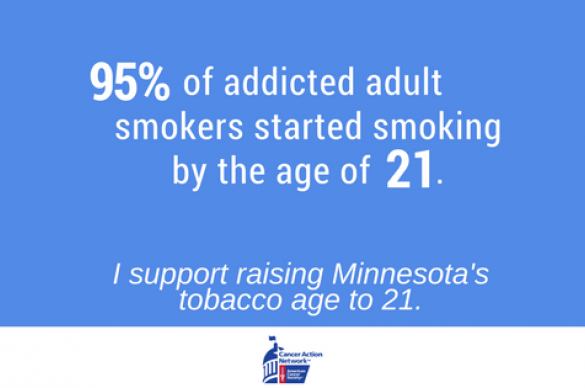 At that time, only Edina had raised the legal age to buy tobacco, and only a couple of other cities in our state were taking their first steps. Imagine Mason’s giddiness now. Posted on May 1, 2018 at 5:15 pm. This year, we are celebrating 10 years of a Smoke Free Illinois. This law, while controversial when it was being passed, has become a new, healthier norm. Most young adults barely remember when smoking was allowed everywhere and cannot comprehend people smoking in restaurants and public spaces. Now, it is time for another new, healthy norm: Tobacco 21. Why 21? Increasing the minimum legal age for sale of tobacco products to 21 years of age will significantly reduce youth tobacco use and over time save thousands of lives. For 17 years, the teen tobacco use rate in our state was on the decline thanks to education and strong laws that kept this addictive and deadly product out of the hands of our youth. Now, because of heavy advertising, easy access, concealable electronic cigarettes and fruit and candy flavors, tobacco use is once again increasing among Illinois teens. In fact, in 2015 (the latest data available) 32.8 percent of Illinois high school youth reported using tobacco products. Tobacco 21 laws focus on protecting youth from the death and disease associated with tobacco use. Nearly 95 percent of addicted adult smokers started smoking before they turned 21. If we can keep young people from getting hooked on tobacco products before their 21st birthday, they will likely never become addicted. Tobacco 21 is our opportunity to stop the tobacco industry from capturing today’s young people as tomorrow’s customers. The American Lung Association encourages elected officials at all levels to support Tobacco 21 policies. Posted on April 27, 2018 at 4:58 pm. Many American teens wouldn’t dream of lighting up a cigarette. They know that tobacco smoking is an easily acquired and often deadly habit. 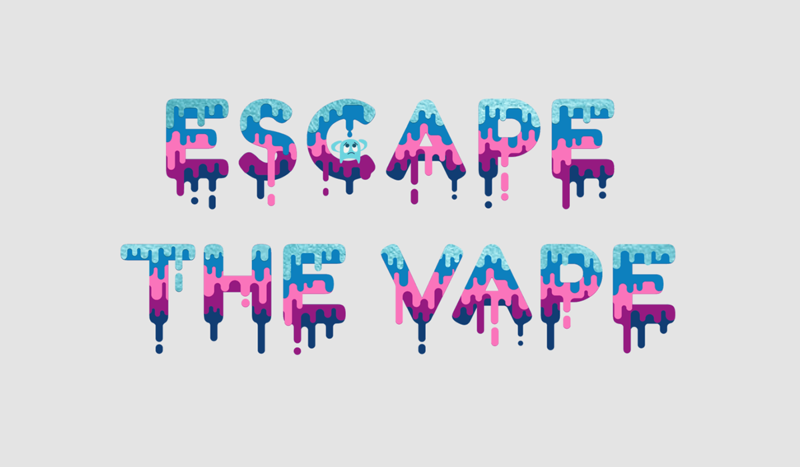 Too many, however, shrug off companion health warnings and fire up e-cigarettes instead. Now Illinois lawmakers are poised to make that harder by raising to 21 from 18 the legal age to buy tobacco or e-cigarette products. The Illinois Senate has approved a measure on a 35-20 vote; the proposal now moves to the House. We urge lawmakers to vote yes, and Gov. Bruce Rauner to sign the bill into law. This is not a Nanny State overreach into the personal habits of Illinoisans. It’s a smart way to help some unknowable percentage of young people from decisions that they and their families would regret for decades to come. We’re sure that lawmakers hear many of the same arguments against this proposal that we have: 18-year-olds serve in the military and vote, why can’t they buy cigarettes or e-cigarettes? 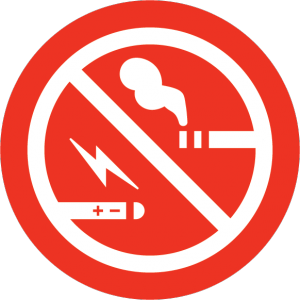 We say no for the same reason that we supported a statewide ban on smoking in public places a decade ago. Because it’s a public health imperative that yields huge benefits. Anyone miss those smoky restaurants? Anyone? Posted on December 13, 2016 at 4:32 pm. 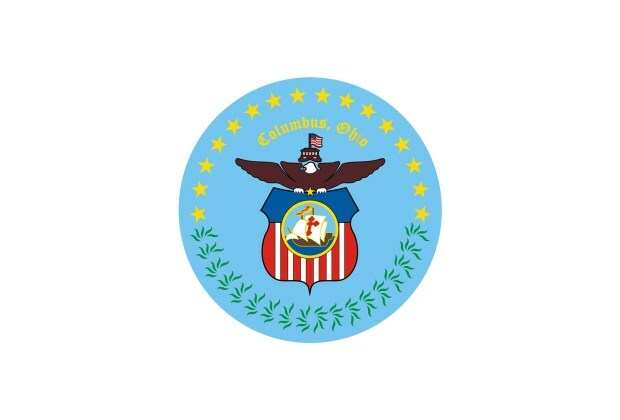 “Columbus City Council members passed the “Tobacco 21” bill on Monday, 7-0. The legislation was sponsored by President Pro Tem Priscilla Tyson. Dr. Rob Crane said this new law is a prevention tool that really works. He’s a clinical professor at The Ohio State University, as well as founder and president of the Preventing Tobacco Addiction Foundation. He cites the book, “Public Health Implications of Raising the Minimum Age of Legal Access to Tobacco Products,” which was a study requested by the U.S. Food and Drug Administration (FDA) back in 2013. Posted on December 6, 2016 at 7:20 pm. Walgreens is increasing the age to buy tobacco at its drugstores to 21 later this year as the retailer faces possible sanctions from the Food and Drug Administration for allegedly selling to minors. The FDA put Walgreens “on notice” in February, accusing the pharmacy chain of violating rules that prohibit selling cigarettes and other tobacco products to underage buyers. Yahoo ! It's about time Walgreens raised their purchase age to 21. If only they, as a provider of healthcare products and medicines, would stop selling poison altogether. CVS did it. Why aren’t they? Yesterday, Governor John Carney signed a comprehensive #Tobacco21 bill into law, making the state the latest to raise the age for buying tobacco products to 21. A life-saving measure! Delaware Governor John Carney has signed a bill raising the legal age to purchase tobacco products in the state from 18 to 21. Good for Delaware. Congress needs to do this nationwide. Finally 21 at last !